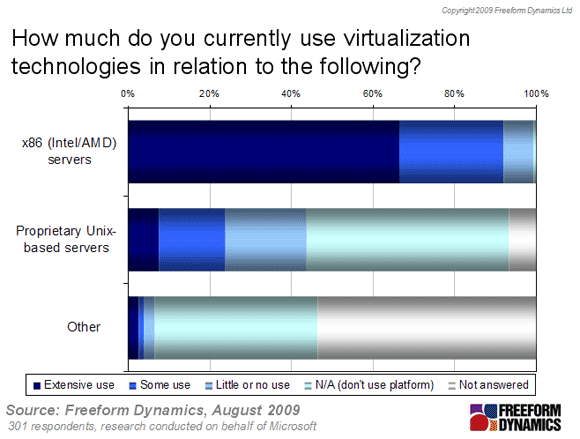 Workshop Poll Results While x86 server virtualization is now widely accepted as an important part of IT activity looking forward, the results of our recent workshop poll of Reg readers suggests that it is still early days when it comes to implementation. 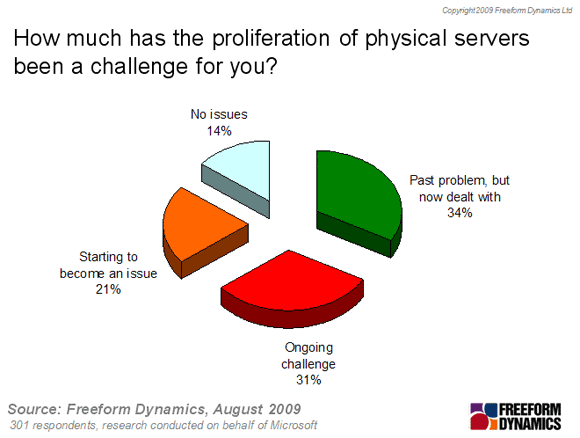 Why has server sprawl become such a widespread issue? The first cause that springs to mind concerns the traditional dependencies that have existed between applications and the platforms upon which they sit. A familiar challenge is how each application requires the underlying systems stack to be configured in a particular way, which is typically different to other applications. So too, is the problem of applications conflicting at execution time and interfering with each other in terms of performance or stability. These physical dependencies offer one of the main reasons why each application has traditionally lived on its own, dedicated server.